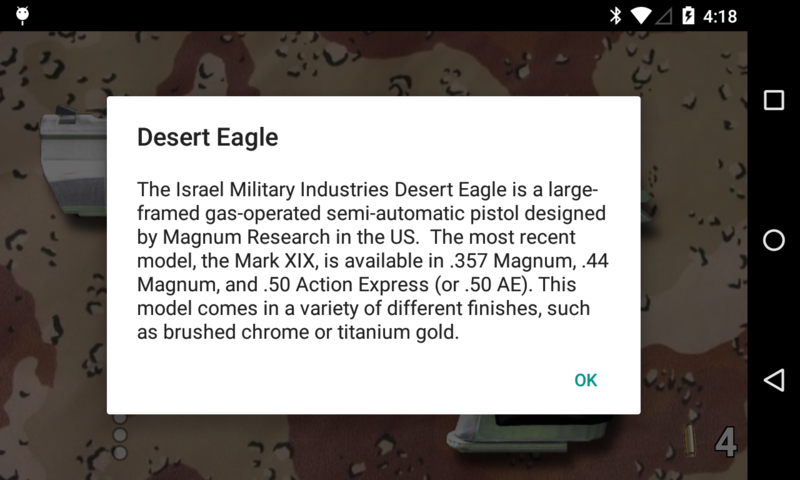 Desert Eagle is a fun and free simulation and informational app for the infamous Desert Eagle pistol by Israel Military Industries. The model of the handgun depicted in this app is the .50 Action Express (or .50AE) varient, which has a 7 round magazine capacity. 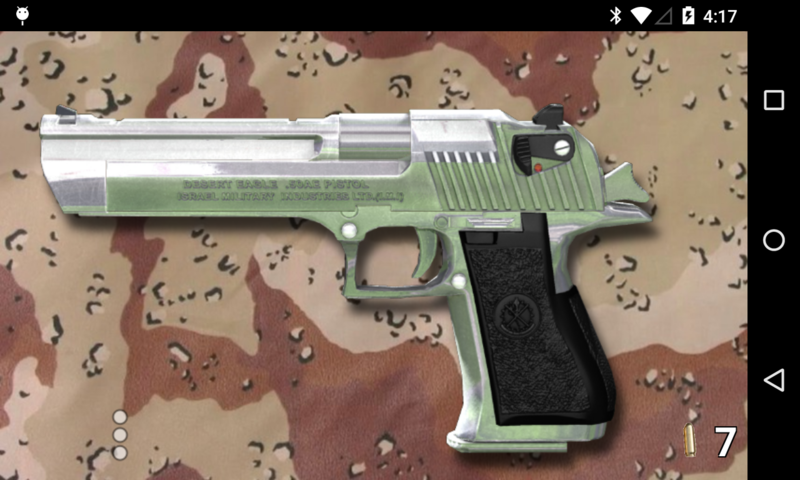 The Desert Eagle pistol is also available in .357 and .44 Magnum configurations, but those are not depicted in this app. 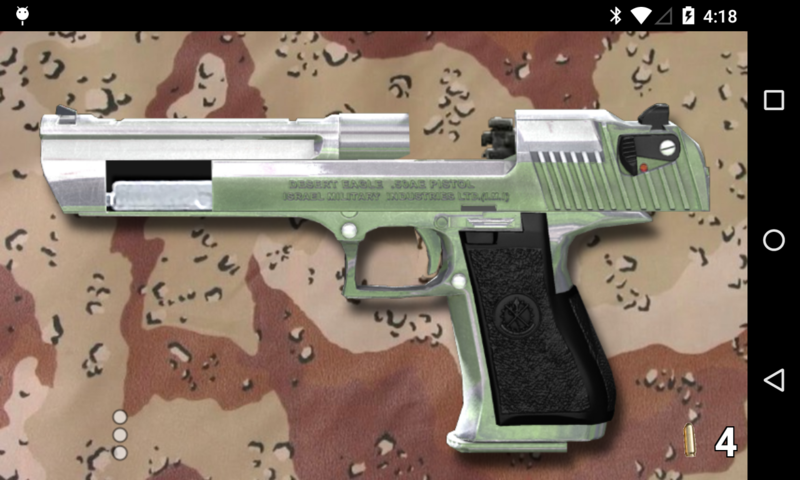 The app includes a simulated Desert Eagle pistol that simulates live fire when you tap on the screen. When your clip is out of ammo, you can reload by shaking your device. Fire and reload sounds are authentic high quality stereo recordings of a real Desert Eagle pistol. The app also includes a screen with a short informational read on the Desert Eagle pistol, as well as the ability to share the app with your friends so you can have simulated gun fights at the office.